Jesus is central to God’s unfolding story. He was the promised Messiah and King of the Old Testament. His coming inaugurated the kingdom of God. His miracles demonstrated His power and authority over creation and life itself. He healed people out of compassion and a desire to demonstrate the arrival of God’s kingdom. There is no need to explain away the biblical accounts of Jesus’ healing miracles. The Gospel writers intended us to understand the nature of these healings and believe in them just as they were recorded. This unit can help older preschoolers establish an important truth in their young minds and hearts that will lay a foundation of truth for the rest of their lives: Jesus heals! Lessons in this unit are listed below. Just click on each lesson title to access the individual lessons. 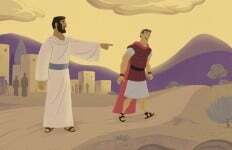 This lesson introduces older preschoolers to John’s account of Jesus’ healing a royal official’s son some 20 miles away (see John 4:46-53). Jesus didn’t have to be physically present to perform a miracle. This week’s lesson provides a great example of the truth that faith is not passive, but active. 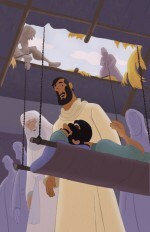 Five men knew Jesus could heal, but how could the one who couldn’t walk get to Jesus, who was teaching in a crowded home? How about lowering him down through the roof? The faith of these men not only paved the way for physical healing, but for spiritual healing as well. 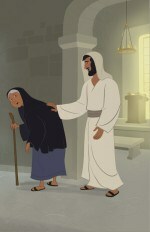 In this lesson, preschoolers will learn that Jesus healed woman who had been stooped over for 18 long years. 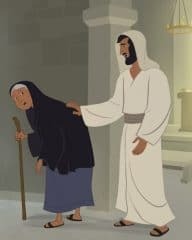 Although many people praised God, some others were angry because Jesus healed her on the Sabbath. Jesus showed them rules that keep people from helping others don’t honor God. 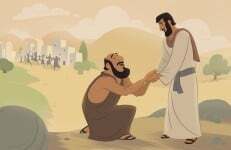 In this lesson, older preschoolers will learn about a grateful man whom Jesus healed along with nine of his friends. Sadly, only this man came back to express thanks to Jesus. It’s always appropriate to give thanks to God for His blessings to us.